NOW HIRING - FULL-TIME AND PART-TIME RN’s, LPN’S AND CNA’S. Southwest Virginia Home Health Care is looking for dedicated professionals to join our team of hard working home health care providers. As we celebrate more than 20-years serving the Twin County area our workload has increased enough to add to our team. The home health professional provides direct patient care in the patient's home environment as part of a multidisciplinary team including PT, OT, speech, social work and home health aides. The nurse will evaluate patients and use professional judgment to design the individualized plan of care which best meets the patient's needs. The nurse will provide direct, one-on-one patient care, and will also supervise care provided by aides. The nurse will have direct communication with the physician and follow all physician orders. 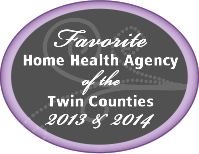 Working in home health provides endless variety of setting, scenery, and clinical challenges. If this sounds like the job for you, send a resume to cfrost@swvhhc.com or by mail to Southwest Virginia Home Health Care, PO Box 269, Galax, VA 24333. Or, pick up an application at our office located at 2752 Glendale Road, Galax. Southwest Virginia Home Health Care is looking for a full-time RN to join our team of hard working home health care providers. As we celebrate our 20-year-anniversary in the Twin County area our workload has increased enough to demand another RN. The home health nurse provides direct patient care in the patient's home environment as part of a multidisciplinary team including PT, OT, speech, social work and home health aides. The nurse will evaluate patients and use professional judgment to design the individualized plan of care which best meets the patient's needs. The nurse will provide direct, one-on-one patient care, and will also supervise care provided by aides. The nurse will have direct communication with the physician and follow all physician orders. Working in home health provides endless variety of setting, scenery, and clinical challenges, and provides flexibility with work schedules. If this sounds like the job for you, send a resume to tking@swvhhc.com or by mail to Southwest Virginia Home Health Care, PO Box 269, Galax, VA 24333. Or, pick up an application at our office located at 2752 Glendale Road, Galax.